Today is the first session of the fall edition of the Housley Principled Leadership Program. This is our fourth or fifth semester. I can’ t remember. I do remember why we do this. It is a fitting memorial to my best man. I am excited to meet the new class today and hope that each of them will come away from the experience with the self-awareness to become people of consequence. The world needs people who have come alive. I want these students to live lives that matter. This is my eulogy for the program’s namesake, my good friend Kevin. This day, devoted to the memory of our friend Kevin Housley, offers an opportunity for reflection and celebration. It is a curious and difficult thing – this notion of celebrating life in the wake of death – but I had a great teacher. 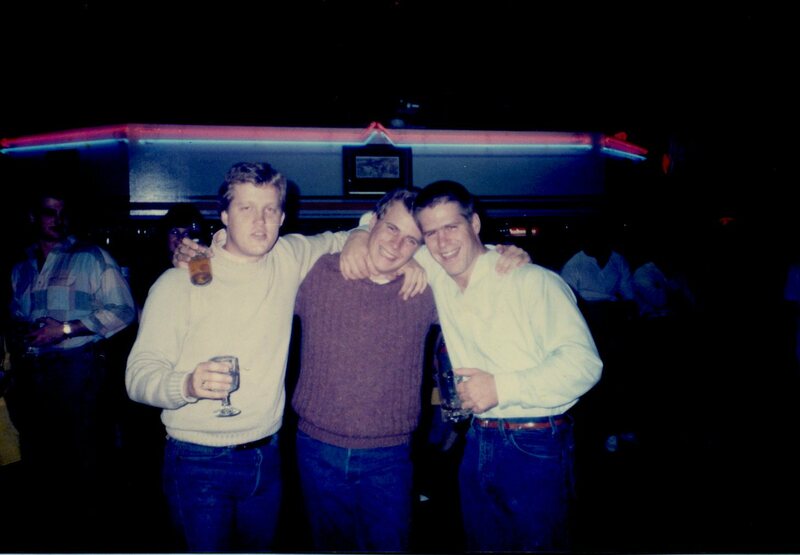 Twenty years ago this January Kevin and I, and many of you here today, tragically and unexpectedly lost another friend, Bill Hogue. As we gathered at the funeral, shock and sorrow hung over us all. But Kevin refused to let that stand. He said that “life is for the living” and led us all to a place called “31 Flavors” for some living; this 31 Flavors did not serve ice cream, but daiquiris. We talked and laughed as we told our favorite stories about Bill late into the night. That is what Kevin expects of us. To celebrate a life well lived and to share a story or two about how he touched each of us. It is now my responsibility, as it once was Kevin’s, to lighten things up. Kevin is my best man, not just at our wedding, but in my life. When I was seventeen and entering Southwest Texas State, it was Kevin that took me under his wing and guided me through my first couple of years. If I remember correctly, Kevin was 22 when we met and was not in any danger of graduating. Over the next few months I would learn why. Every hour with Kevin was a “happy hour”. He had a knack for taking life’s setbacks in stride. He was a “when life gives you limes, make a margarita” kind-of-a-guy. One weekend when the two of us were in trouble with our respective girlfriends – deservedly so I am certain – we found ourselves without dates to a big sorority formal. Not one to dwell on misfortune, Kevin took me on a road trip to San Angelo that is still talked about to this day. Ask Jeff Curry. More than 20 years later we did the same thing when he lost the election. As we matured (no laughing please; I will admit to being a work in process) Kevin was a man of strong religious conviction. Our many faith-versus-reason theological discussions often ran well into the night. Salvation was a popular topic and a source of heated disagreement. Kevin was a “straight is the gate and narrow is the way” sort of Methodist who refused to come around to my more Unitarian worldview. Even though my Methodism might be more casual, I can hold onto the lines of a hymn: “When we asunder part, it gives us inward pain; but we shall still be joined in heart, and hope to meet again.” For the sake of our everlasting friendship, I sure hope that Kevin is wrong about the width of that gate. For me, Kevin is supremely one thing – a friend. Our relationship was easy even when it was contentious. We are both strong-headed and both agreed with Emerson who said, “Better to be a nettle in the side of your friend than his echo.” There was no danger of that happening with either of us. If we are going to quote Emerson then we should also give his friend Thoreau his due. He said, “A man cannot be said to succeed in life who does not satisfy one friend.” Kevin satisfied me and I am sure, based on the size of this crowd, that he was successful on that account many times over. It is my charge to take his friendship and “pay it forward” by being a better friend to those that remain. Doing that takes precious time and bundles of energy, but Kevin took that time. The prayer that our friend Bill Hogue was carrying in his wallet the night he died begs us to do that. It is called “Slow Me Down”. The first line goes like this: Slow me down, Lord, I am going too fast, I can’t see my brother as he goes past. Well, slowing down in not in my DNA so all I can do is take the message to heart and make sure that Kevin knows what a blessing his friendship is to me and how much I cherish the memories of the time we spent together. I am a better man because of him and an even better man I hope to one day become.